I vaguely wondered about the significance of the hawthorn bush then put it out of my mind. I placed the Loggerhead Shrike print on my desk beside my special origami box, Kente cloth postcards, and other totems. It sits on my desk — wings folded, hooked beak retracted. A mid-August heat dome lay over southern Ontario. We set out at first light and hiked the wooded shoreline near Tiny Marsh on the cusp of the Canadian Shield. On impulse, we stopped to read the Ducks Unlimited entrance sign at Matchedash Bay: “A Wetland of International Importance and Important Bird Area”. “131 breeds of birds! Let’s do the shorter loop trail”, I said. 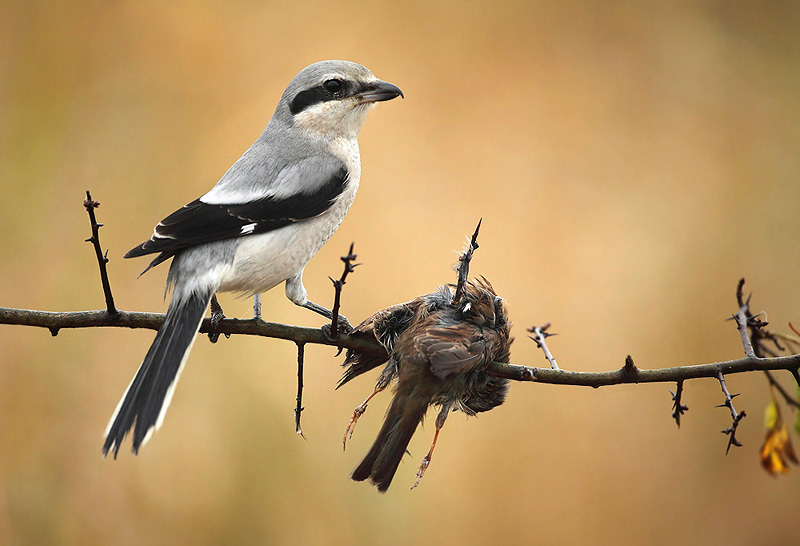 The shrike is the avian world’s Vlad the Impaler. According to the Cornell Lab of Orthnithology, “The loggerhead shrike’s head is large in proportion to its body size . . . It impales its prey on sharp objects such as thorns and barbed-wire fences (which is) a unique adaptation to the problem of eating large prey without benefit of the stronger feet and talons of raptors.” The lovely hawthorn beloved of poets (or any convenient thorn tree for that matter) serves as a handy spike for the shrike’s stash of insects and birds after it guillotines them. To hold its prey secure while eating it or to store it for later consumption, the shrike tears the flesh into smaller morsels which it spears on a sharp object. “A greedy bird fond of killing”, it stashes away more than it needs. The Eastern Loggerhead Shrike is one of Canada’s most endangered songbirds due to a shortage of suitable breeding sites. For this reason, Canadian researchers are collaborating with the Smithsonian’s Conservation Biology Institute to help breed new populations of shrikes. A macabre songbird that acts like a hawk. 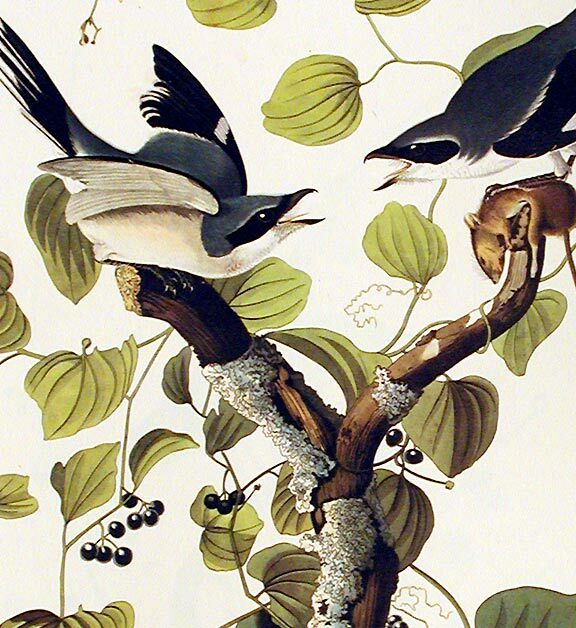 The Loggerhead Shrike sits on my desk — wings folded, hooked beak retracted. Mysterious and unsettling. Its shadow sweeps over me and a puff of feathers explodes above my head. ANNE McGOURAN's nonfiction has appeared in Queen’s Quarterly, The Smart Set, Coachella Review, Transition Magazine and is forthcoming in Northern Terminus Journal. 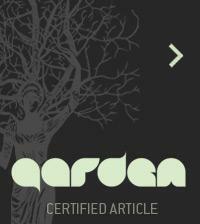 Her fiction has been published in Emrys Journal and is forthcoming in Understorey Magazine. She resides in Collingwood, Ontario where she has developed a fascination with ice huts and orchard ladders.